Lisa Ann Fish was born April 8, 1968, in Warroad, MN, the daughter of Jim and Barb (Wenzel) Fish. In the fall of 1968 her family moved to Wahpeton, ND while her father attended NDSCS. In 1970 her family moved to Fergus Falls, MN where she graduated from high school in 1986. Lisa was a Campfire Girl and she volunteered at the Humane society. Music was important to Lisa. She learned to play the piano and in high school she played the drums and flute. She was also a member of the KEY Club, a high school community service group. She was confirmed at First United Church of Christ in Fergus Falls and was very active in the youth group. 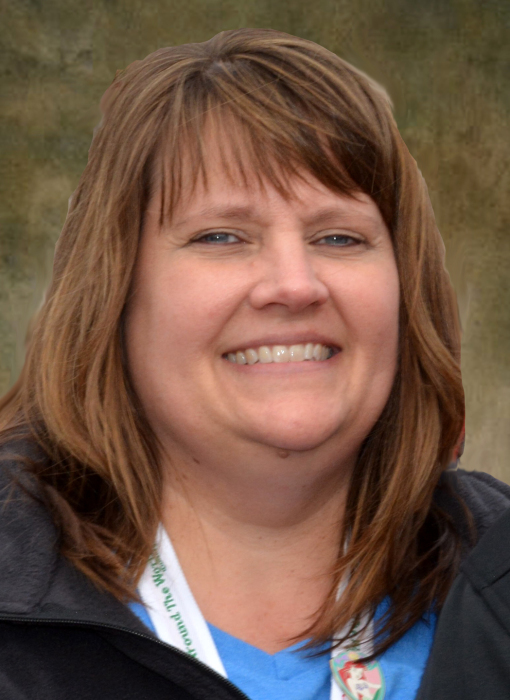 While working at Godfather’s Pizza in Fergus Falls Lisa began dating Ron Samuelson. On September 8, 1990, Lisa and Ron were united in marriage. They honeymooned at Disney World. The couple made their home in Alexandria, MN and were blessed with two sons, Jacob and Tyler. Over the next several years, Lisa and Ron visited Disney World and Disneyland twelve times. Their most recent trip to Disney World was in 2016. Later in their marriage, Ron and Lisa traveled to Las Vegas, making thirty trips to Vegas. Lisa was never a gambler; on all of the trips she looked forward to the warmer weather and going shopping. Lisa worked at B. Dalton Booksellers in the Viking Plaza Mall for many years and at Godfather’s Pizza in Alexandria. For the last seven years, she has worked at the Alexandria Wal-Mart where she did display setups. In addition to travelling, Lisa loved spending time at garage sales and collecting things she found special. She enjoyed decorating her home, especially around the holidays. Lisa was an artistic person; she was a skilled sketch artist and enjoyed scrapbooking. What Lisa looked forward to most in life was spending time with Ron, her boys and her extended family. She had a deep appreciation for her grandparents, her parents, her uncles, her brother and for Ron, Jacob and Tyler. She knew the importance of saying “I love you”. On Friday, January 25, 2019, Lisa died at fifty years of age from breast cancer. She is preceded in death by her grandparents, Robert & Evelyn Wenzel. Lisa is survived by her husband, Ron Samuelson of Alexandria; sons, Jacob Samuelson and partner, Miranda Novak, and Tyler Samuelson both of Alexandria; parents, Jim & Barb Fish of Fergus Falls; brother, Jim Fish and wife, Shannon, and nieces, Evelyn and Isabelle Fish of Aberdeen, SD; parents-in-law, Arlyn & Donna Samuelson of Fergus Falls; grandparents, Jim & Birdie June Fish of Sauk Centre, MN; uncles and aunts, Robert Wenzel and wife, Pam; Robert Fish and friend, Roberta, and Diane Fish; cousins, Zak Wenzel, Jonathan Fish and wife, Katie, and Matthew Fish; brother-in-law, Paul Samuelson and wife, Lynette, and their children, Nick, Tim and Macy; brother-in-law, Mark Samuelson; and sister-in-law, Lisa Samuelson. A memorial service will be held at 11 AM Friday, February 1, 2019, at the Shalom Lutheran Church in Alexandria. Reverend Dennis Preston will officiate. Visitation will be from 4 to 7 PM Thursday at the Anderson Funeral Home in Alexandria and one hour prior to the service at church. Arrangements are with the Anderson Funeral Home in Alexandria.